4 Mountainview Rd, Mulmur Ontario L9V3H5This lovely 6 year old custom built home is located on a dead end road with similar homes on 1 acre lots. With its attractive painted wood exterior, huge picture windows to the south, it is bright and welcoming. What you are getting in this property is a lovely 1700 sq. ft. (approximately) finished house with another 832 sq. ft. in the lower level to complete to your specific needs located on a one acre lot in a country estate setting. The homeowners on this street enjoy the privacy and quiet that country living brings them – and at the same time feeling like they belong to a small community of homeowners who are looking for the same. School buses pick up the children on the street and take them to the neighbourhood school – either Primrose Elementary or Centre Dufferin District High School. 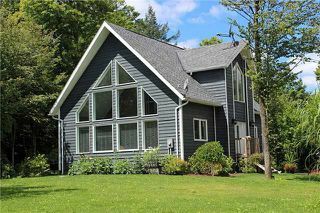 Located in scenic Mulmur just across the road from the Mansfield Ski Club, it is close to walking trails, cross country ski trails, the Bruce Trail, fishing and golfing. Just 20 min. to either Alliston or Orangeville for shopping needs and one minute to a major road for commuting. In short, the best of both worlds at an affordable price.